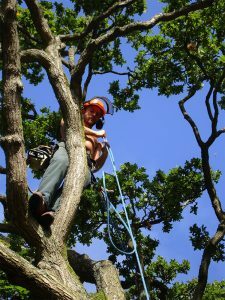 Expert tree surgeons based in Surrey. Competitive quotes and great service. Professional tree surgery services for Hampshire, Surrey and West Sussex. Tree Dismantling / Felling Professional, controlled tree felling and removal avoiding damage to surrounding area. Crown Reduction Cutting back of the tree’s branches to create a smaller overall crown. Crown Thinning A reduction in crown density allowing more light to penetrate through the tree. Pollarding Managing some fast growing trees by reducing to a very basic framework. Crown lifting Removal of lower branches of a tree’s crown to give clearance and improved look. Hedge Trimming Regular trimming will keep your hedge looking dense and smart. Site Clearance From a postage stamp back garden to a 20 acre site we can clear your site. Stump Grinding Grinding out of tree stump to leave area free to re-plant/re-use. Ivy/Climber removal We’ve got the tools and skill to get ivy/climbers back under control! Planting Advice on what to plant, sourcing, delivery and planting from our experts. Our team's goal is to exceed your expectations whatever the tree surgery job. Here at Blue Sky Tree Care we are passionate about trees. As professional arborists we love their magnificent beauty and the way they can enhance an environment but we understand that there has to be a balance between the trees and our homes and living spaces. We care about finding the right solution for both you and your trees. Fully insured experts in all aspects of tree surgery including: Crown Reduction, Thinning, Felling, Stump Grinding, Site Clearance, Ivy/Climber Removal and Hedge Cutting. We pride ourselves on leaving your garden more tidy than when we arrived. We strive to be as competitive as possible and will always try to beat a like for like quotation. Based in the Godalming area, we regularly travel down to Petworth and Midhurst, across to Cranleigh and Bramley, Farnham and Aldershot. We have many clients up and down the A3 in Guildford, Ripley, Cobham, Esher and Oxshott. If in doubt, give us a ring and we can quickly determine if we’re close enough to be able to offer you a competitive quotation. Call for a free quote (within two days) and challenge us to beat the competition. "Completely reliable, always do a good job at a very competitive price and clear up very well afterwards. I always use them for my hedge cutting and tree care." Copyright © 2019 Blue Sky Tree Care.